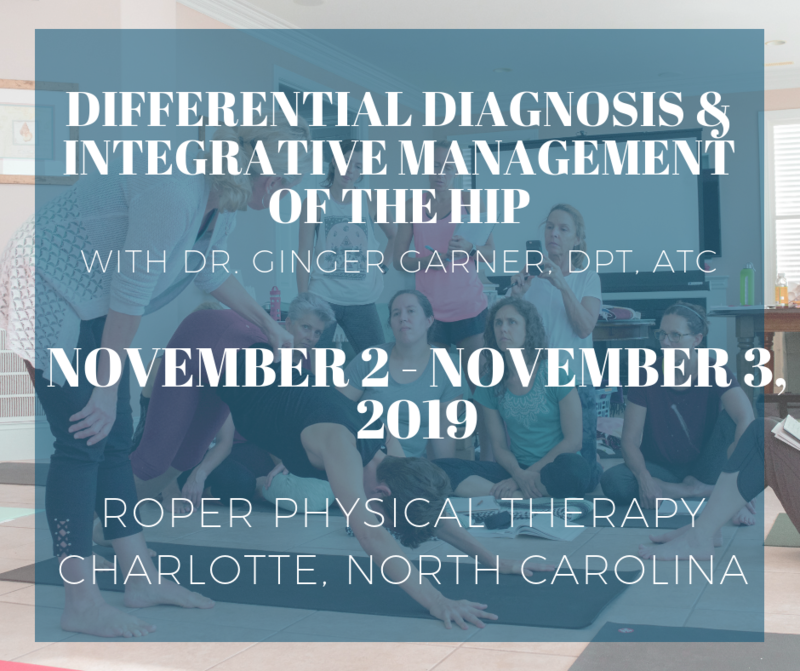 Herman & Wallace Pelvic Rehabilitation Institute faculty member, Ginger Garner, will be giving 2 lectures at this year’s annual Montreal International Symposium for Therapeutic Yoga, or MISTY for short, in Montreal, Quebec. The first is a 2-hour lecture titled, Vocal Liberation, and the second is a 4-hour lecture titled, Hip Preservation: Yoga Reconsidered, Visit http://www.homyogaevents.com to learn more. Read below as Ginger shares why the voice is a linking science. © 2016. Ginger Garner. Medical Therapeutic Yoga. Handspring Ltd. Scotland, UK. If you are an instructor, teacher, educator, therapist, or all four, having a voice is synonymous with having a job. You can’t do your job without a voice. And yet, we don’t spend much time thinking about vocal physiology, much less how to maintain and even improve it. The most powerful change agent or therapeutic modality you have – is your voice. Yet, the voice is often overlooked as a therapeutic tool. Think of how important it is for someone giving a TED talk to have good vocal quality, for example. Now consider how important it is for others, like you, who may have to speak for hours on end each day. The vocal folds must be cared for just like we attend to the mind and body during postural yoga practice or movement therapy. What were the other findings of the report? Voice is the foundation of sustainable business success. It increases employee engagement, enables effective decision-making and drives innovation. Finding your voice involves both cultural and structural pursuit. First, we need to be culturally competent and sensitive. Only then can we provide the right process through which our voice can be heard. Psychology Today and National Public Radio have recently reported on the relationship between vocal quality and job success and effectiveness. Both agree that speech rate, tone of voice, facial expression, and diction have a great deal of power to make or break effective communication. If tone doesn’t match facial expression, for example, neural dissonance occurs, which erodes trust, increase skepticism, and cooperation.1 In fact, warm vocal tone is a sign of transformational leadership, which generates “more satisfaction, commitment, and cooperation between team members”.2 Changing pitch increases therapeutic potential and improves the chances of your being understood by colleagues, especially when diction is congruent with emotion.3 Additionally, training mindfulness during public speaking can improve prefrontal cortex activity, which allows for improved social awareness, mood-regulation, decision-making, and empathy.4 Vocal awareness and training can slow your pace of speaking, which is shown to deepen others’ respect for you and simultaneously calm anxiety, traits which are bridge-building and healing for all relationships, business and personal. MISTY is a not-for-profit organization and event dedicated to teaching others about therapeutic yoga. Ginger’s workshop, “Vocal Liberation,” will introduce techniques for developing and preserving the voice, including projection, quality, longevity, and therapeutic impact through fusion of nada yoga and ENT physiology, which Ginger has developed over her career in public speaking and vocal performance. Want to learn about therapeutic yoga at MISTY? There’s still time to join Ginger and a host of other talented speakers and therapists. Learn more and register at http://www.homyogaevents.com. Leadership = Communication? The Relations of Leaders’ Communication Styles with Leadership Styles, Knowledge Sharing and Leadership Outcomes. de Vries RE, Bakker-Pieper A, Oostenveld W. J Bus Psychol. 2010 Sep;25(3):367-380. Ginger, this course was phenomenal! As a PT and Professional Yoga Therapist, I appreciate you sharing your knowledge, experience, and wisdom re: the connection of the vocal diaphragm to the respiratory diaphragm and the pelvic diaphragm. This is paramount info for all of us health providers working with anyone who breathes and speaks! Your singing voice was such a profound example of the power of sound (Nada Yoga). Thank you! Ahh, thank you SO much Shelly for being there and for taking the time to comment! Feedback is GOLDEN – and I very much value it! I look forward to carrying it to the larger collective – it’s a great passion and love to be able to share what I know about vocal preservation and liberation!